This week I will focus my comments on Dean Bakerâ€™s article sub-titled â€œReal patriotism requires coming to terms with the grimmer side of American historyâ€. Mr. Baker is co-director for the Center for Economic Policy Research (CEPR). The CEPR home page lists 10 funders, mostly far left organizations including the Open Society Foundations, which was founded by and led by George Soros. Dean Baker-He advises the reader that two thirds of people age 65 rely on Social Security for more than half their income. He notes that â€œwith traditional pensions disappearing and many near retirees losing much or all of the equity in their home, and also seeing 401(k) assets plummetâ€, hence â€œthe next generation is likely to be even more dependent on Social Securityâ€. He then proceeds to explain â€œFortunately the program (Social Security) is fundamentally solidâ€. He goes on to summarize various facts about the trust fund and speculates about various ways to further improve the long term health of the program. He says â€œMany opponents of Social Security insist that its $2.6 trillion trust fund does not exist or that it is â€œjust sheets of paperâ€. He acknowledges that â€œthe trust fund is held in the form of U.S. government bonds, which are indeed sheets of paper. However, investors everywhere eagerly seek out these â€˜sheets of paperâ€™ as the safest asset in the worldâ€. 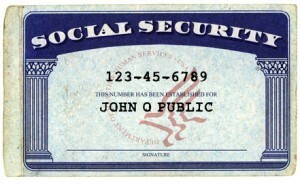 Public reliance on Social Security-Mr. Baker is not providing a fully accurate picture in his description of the American publicâ€™s dependence on Social Security. I checked several sources for my information and found them to be relatively consistent, so I have only referenced three of them. My conclusion is that Americans who have lived within their means, saved money, invested prudently and maintained marketable skills are relying properly on Social Security as a meaningful component of their retirement. Social Security was never intended to be more than that. The median price of homes in the United States in 2004 was $221,000. It peaked in 2007 at $247,900. In 2010 it was $221,800. Bakerâ€™s statement about near retirees losing much or all of their equity would only have occurred if they leveraged their home equity for other reasons. If they had been in their home for 20 years, even the depressed 2010 prices reflect a gain of 80%. Planning to Retire by Emily Brandon . Americans age 65 and older receive most of their income from four sources: employment, Social Security, pensions, and asset returns, according to a recent Congressional Research Service report . The prevalence of each of these types of income has shifted somewhat since 1980. More Americans now continue working past age 65 and fewer people bring in income from assets. Hereâ€™s a look at how the biggest sources of retirement income have changed over the past 30 years. Employment. In the 1980s and 90s about 16 percent of seniors worked, a number that steadily increased to 20 percent in 2008. Earnings now make up over a quarter (26 percent) of income for Americans age 65 and older, with the typical senior bringing in a median of $20,000 annually from work. Social Security. Social Security remains the most common source of income for people age 65 and older. About 86 percent of seniors receive these monthly checks for a median of $12,437 annually. This entitlement makes up 39 percent of the typical seniorâ€™s income. Pensions. The proportion of Americans with a pension from a former employer has fallen slightly from 37 in 1990 to 34 percent in 2008. Pensions payout a median of $10,800 annually which makes up about 20 percent of the typical retireeâ€™s budget. Americans who were afraid to open their 401(k) statements during the recession are finding good news inside the envelope now: For the most part, their accounts have come all the way back and then some. Nine in 10 of the popular retirement plans are at least back to where they were in October 2007, the peak of the stock market. Since the bull market began in March 2009, stocks have almost doubled. And many investors who kept their nerve and continued putting some of their paycheck into a 401(k) during the market’s worst months are now ahead. My main issue with Mr. Baker is his insistence that the Social Security Trust Fund is secure. The current crisis over the debt ceiling now exposes that lie completely. President Obama has admitted that checks may not be issued if the U.S. Treasury cannot continue to borrow next month. If the Social Security Trust Fund held real assets, rather than government paper, they could sell those assets and pay benefits independently from the General Fund. As noted above, long term investments in real estate, stocks, bonds, commodities (gold), etc. have real value. Unfortunately all we have is paper made worthless by closet socialists like Tom Harkin and Barack Obama. I wish this were not true. I have paid into these programs at maximum levels for most of my working career. Privatize Social Security? Absolutely. Young people should demand it. The Ponzi scheme is over! If Americans choose to accept the misinformation of socialists like Mr. Baker as fact, then they deserve the government and fate that they choose. The Republicans have proposed a plan and until President Obama does likewise, they should be applauded for at least recognizing the problems. Mr. Baker knows better. He is simply a socialist who hopes to use the budget crisis to tax the private sector out of business, redistribute an ever shrinking American economic pie, and secure power for global elites like George Soros.